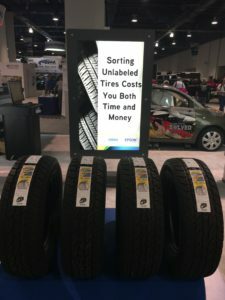 GBS’ tire labeling solutions play a prominent role in delivering production efficiency for many companies through our innovative Print-on-Demand label designs. GBS realizes that technology is the key to managing any successful program, which is why we provide our customers a web-based portal, MyGBS, to help manage their printed products and labels. With MyGBS, all of the information needed is right at your fingertips 24/7. GBS brings the highest level of value to our customers by utilizing our industry technical expertise and experience. The combination of cutting-edge technology and capability, as well as world-class customer service, is what sets GBS apart from its competitors. Contact us at 800.329.9434 for more information.